Personagem - Scoundrel. Pontos: 11/14. Vida: 10. 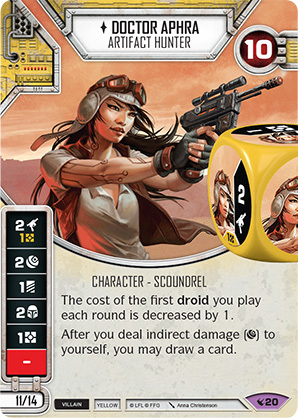 The cost of the first droid you play each round is decreased by 1. After you deal indirect damage () to yourself, you may draw a card.